Paul Solman: Today’s Making Sen$e post comes courtesy of the page’s web chief, Elizabeth Shell. A majority of first-time working mothers are now receiving paid maternity leave — a first since the government started tracking the data in the early 1980s — according to a new study by the U.S. Census Bureau. They’re also much likelier to work longer into their pregnancy and return to work sooner than their mothers did. However, whether or not a first-time mother can expect to receive some sort of paid maternity leave from her employer is closely tied to the number of years she spent in school: women with a bachelor’s degree or more are nearly four times more likely to have access to paid leave than their cohorts with less than a high school diploma. The report also highlighted the various types of leave moms are cobbling together in order to have time with their first born child, including maternity leave, vacation time and paid sick days. More than two-fifths of new moms said they had to rely at least in part on unpaid leave. More than one in five quit their job. 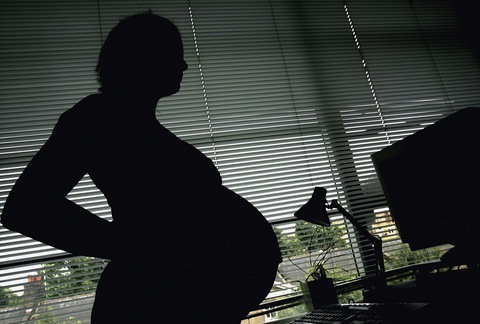 Maternity leave depends on the employer and various state laws. Nationally, the Family and Medical Leave Act of 1993 guarantees 12 weeks job-protected leave — unpaid — to care for a newborn or an ailing family member. But companies with fewer than 50 employees are excluded. According to a Human Rights Watch report released earlier this year, the United States is one of only a handful of countries that does not guarantee some form of paid maternity leave. We were interested to see what a new mom’s maternity leave in the U.S. might look like today, based on her ethnicity and education. So we dug deeper into the Census data. Using our tool below, select a value for the two indicators to see the breakdown of how long an expectant mother worked into her pregnancy, what type of leave was used, and when she returned to work. Interactive by Justin Myers and Vanessa Dennis. Photo at top by Daniel Berehulak/Getty Images.